ARVC SMALL PARK OF THE YEAR WINNER! Winning awards is fun, but not our MAIN GOAL-YOU as our guest IS! Relaxing pool, famous 'DUCK' races, Arcade Room, planned activities, private showers & wooded beauty to relax in. We really enjoyed our stay -- spacious enough site. Excellent private restrooms (toilet/sink/shower)! Loved the creek....enjoyed walking along it. I don't see how Good Sam gives this place a 10. The staff is very friendly, but the sites are not very attractive. They have built up gravel to level the sites but that makes a big step down to the surrounding ground. Wifi is almost worthless. Verizon data is not available. Cable TV is o.k. Families with kids probably love the nice creek and there is a small pool. You can walk about a mile around the grounds. There are a number of permanent RV's with all the "stuff" that goes with those. It is an o.k. park but I wouldn't give it all 10's. What a great RV park! 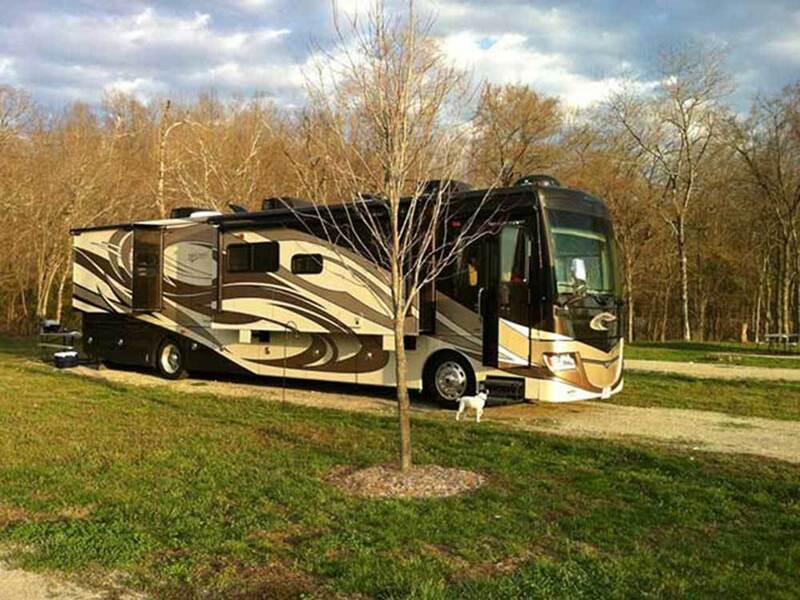 The owners are very nice and the campground is clean and well kept. Our four kids had a blast in the pool (upper 90's that weekend) and the creek was fun too! My wife and I have plans to return for another weekend this camping season. The owners of this park have spared no expense to build a first class RV Park! Also, they and their staff continue to do everything possible to ensure a great experience at their facility. 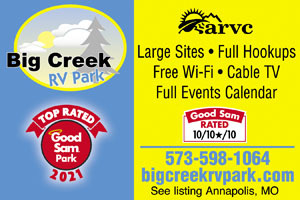 We are full-timers for the last 20 years and have been to many other RV parks. This is simply the best RV park anywhere!